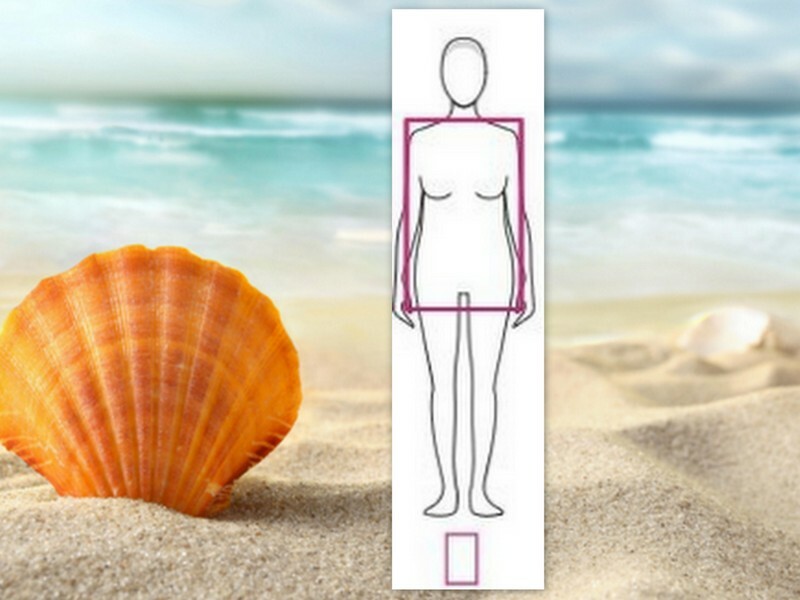 Once you discover your Body Type has, focus on what swimsuit suits you and why. 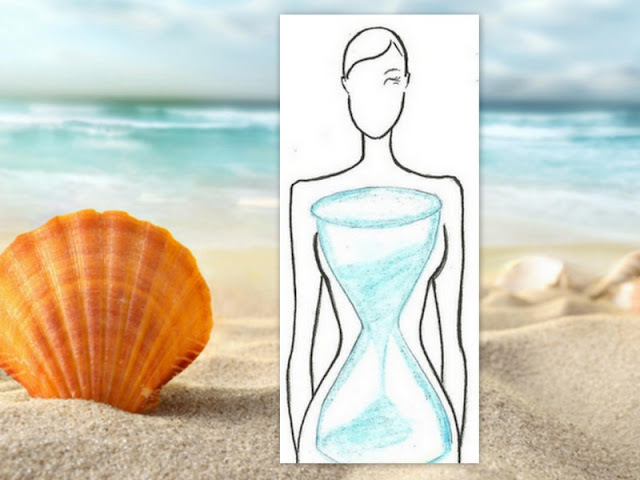 to buy the perfect swimsuit, do not waste time or money. The pear shape has pronounced curves on the hips and thighs and the upper part is smaller. 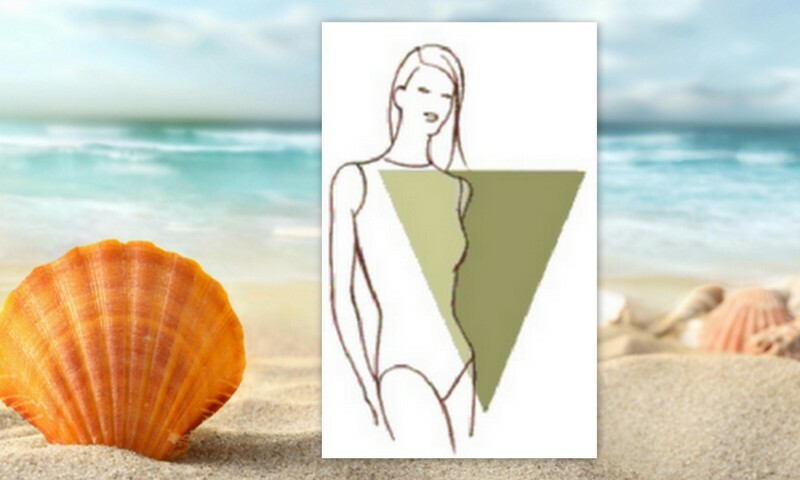 The key to make this type of body look good; is to balance the proportions of the upper part, such as breasts, shoulders and waist; with the lower one, hips and legs. Attract the eyes towards the top with a halter neckline or a striking print. Color is key; the prints worn on the top, will keep the attention away from the hips. A two-tone style is ideal, think of a more vivid color or a print on the top, and a darker or smoother color in the bottom. undefined waist, small bust and narrow hips give a slim body, but sometimes masculine appearance. The mission is to give the illusion of a more curvilinear shape by creating a marked waist line and adding volume to the hips and bust. The upper part is emphasized with the use of a top with ruffles. This will add volume to the breasts and make the bust look a little wider. Choose a padded and shaped bodice because it looks good aesthetically. Another perfect style is the one that marks the line of the waist, with a print, drape or dark color in that area. misunderstand, the shape of the bikini is crucial, but color and proper printing are also important. One factor you should pay attention to is also the size. 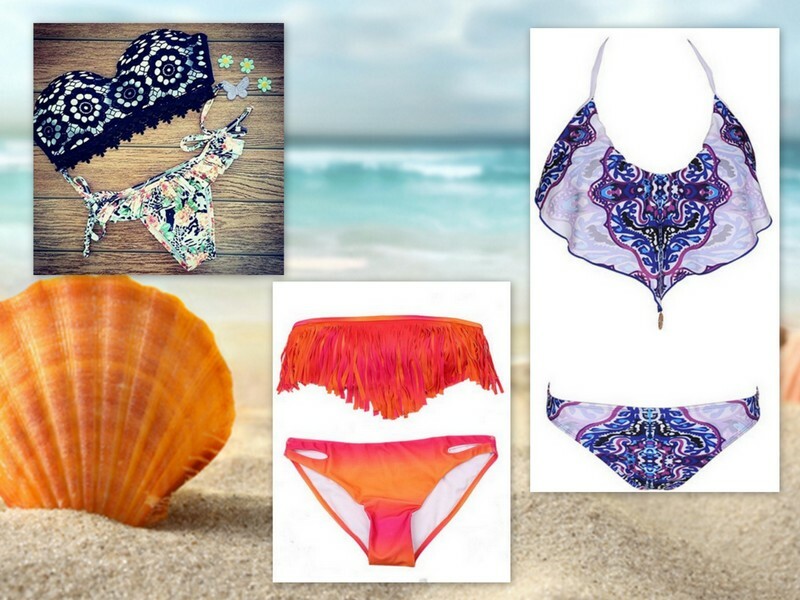 Many times it will be necessary to buy the upper part of the bikini in one size and the lower part in another. So that you finally have the perfect bikini. The ideal is to go with a sincere friend to help you in your choice! 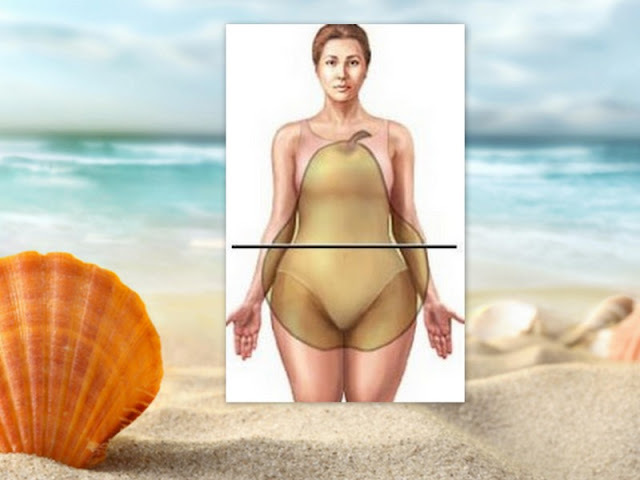 Avoid bikinis that are very small at the bottom because that will make your hips look smaller. 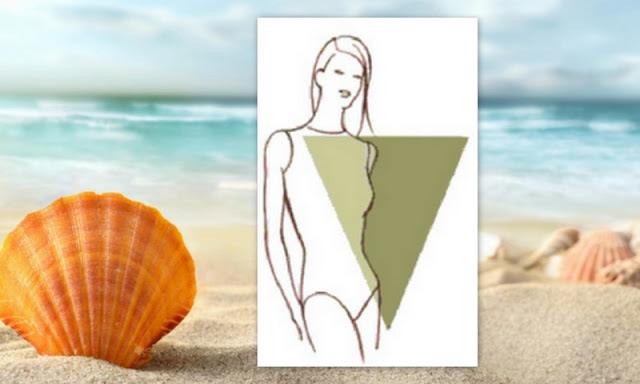 This body shape needs a bikini that is able to keep the chest up, because usually the hourglass bodies have a large chest. Fasteners with underwires and padding are perfect. For the lower part you can use knots or belt, but be careful not to be too thick on the sides; about 3 cm is fine. 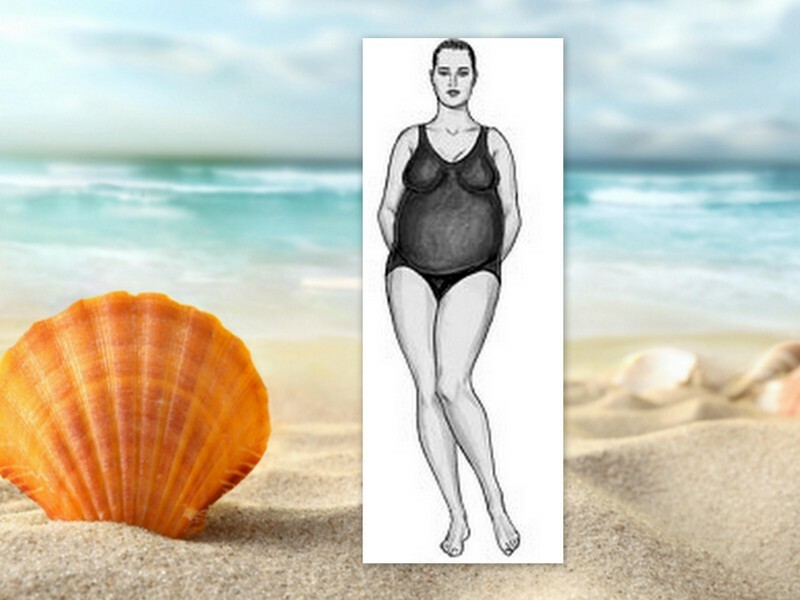 If you have big hips you can also opt for a bikini with some small ruffles. An important detail: high-waisted garments at the waist will make you look smaller. There is no limit in terms of colors and patterns, but always remember that darker shades and small prints are more suitable for your figure. This type of body has broad shoulders, usually large or medium breasts and thick waist. Hide this problem is not so simple with a bikini, but there are a couple of possibilities you can take into account to improve the figure. Direct the attention to the legs, using a bra with hoops that lift your neckline, giving the optical illusion that will make you look thinner. The use of thick straps will help you to hold your breasts well, especially if it is very large and, at the same time, it will help you re-dimension wide shoulders. Be careful with the tiny bikinis, because they will make you look bigger than you really are. You can divert attention from the problem area with a bra with shiny stones. Another way to hide the belly is wearing a tankini top, which completely hides the belly, but with great style. Avoid laces or any type of decorations on the hips. One-piece swimsuits follow the same rules as bikinis. Buy a style with cups that hold breasts well and with ruffles in the belly. For this body shape, choose dark colors like: blue, brown, maroon and black. 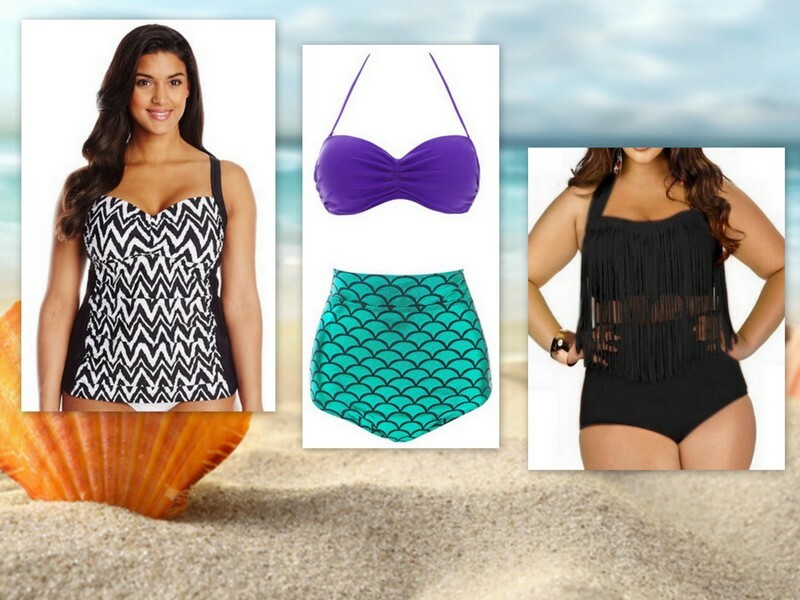 What do you think of this Flattering Bathing Suits?